Green Tea Weight Loss: Green Tea Weight Loss Energy-Boosting, Hunger-Reducing Properties WITH Fasting: A Dynamic Combination! Greetings and welcome to the Green Tea Weight Loss Page. Here we discuss green tea weight loss characteristics as they pertain to fasting and overall health, diet and fitness efforts. You will find how green tea can help you lose weight while you fast by giving you energy and reducing those ever-looming hunger pains and detox symptoms. With fasting, it's all about hanging on and going the distance. Green tea has helped me to complete water and juice fasts that I am certain would have otherwise ended prematurely. Fasting is very much like a military offensive. During the initial detoxification phase - which lasts anywhere from 9-to-11 days (depending on your level of toxicity), the mind and body can take the form of the enemy. Their objective is plain and simple: forcing one to break the fast. I have learned through much trial and error that it is crucial to be prepared. For a more in-depth discussion on the various methods that can help you deal with hunger, visit the water fasting tips page when you have a chance. When I started fasting for weight loss, I soon realized I was going to need extra energy to help me maintain my daily activities. I did not have the luxury of taking a vacation while I fasted. In fact, I had to maintain a demanding work schedule and be productive ... so the challenge was before me from the start. Looking for information (I wanted to fast no matter what), I came across green tea weight loss studies that talked about its thermogenic or body heating effects. Intrigued, I continued my research. I learned that drinking pure oolong tea or green tea extract - a more concentrated form of oolong tea - could give me more energy. It also could help accelerate fat burning or oxidation and consequently, facilitate weight loss. I was amazed, yet still skeptical. By the way, green tea contains a powerful antioxidant called Epigallocatechin (EGCG) which helps the body repair itself at the cellular level. At the time I was new to fasting but my efforts were going fairly well. I started with juice fasting and had gotten pretty good at mixing fruits, vegetables and even yogurt to sustain me. I also did several three-day water only fasts, which were even more challenging. But, through it all, I found myself feeling very weak and the hunger pains had me against the ropes. They were relentless. Also, the pounds were not melting as swiftly as I had hoped. As I recall, I was coming up on a special engagement that required me to be at a very specific weight. I can tell you from first-hand experience that green tea, while not a fix-all, DID help to expedite loss of weight. It was not shockingly dramatic but it did help. It made the weight loss consistent and noticeable. I had fasted before without using green tea and noticed a positive difference. Drinking green tea also DID pep me up and allow me to stay functional. I was convinced. Green tea weight loss and energy-boosting properties were real. Micronutrient research by the Linus Pauling Institute at Oregon State University has looked closely at green tea and its effect in humans. According to the institute, green tea weight loss occurs because the body appears to use more energy after the tea is ingested due to the herb's inherent fat oxidation and body heating properties. The tea leaf contains large quantities of phytochemical polyphenols called flavonols, commonly known as catchetins. Although green tea and black tea originate from the same leaf, they have different chemical structures due to how they are processed. Apart from an initial brief steam roasting to stop fermentation, the production of green tea is largely a manual process. Japanese Green Teas contain more catchetins than Chinese green teas. I personally discovered that this added energy from catchetins can help immensely while fasting, especially when one needs to maintain daily activities or work. The green tea weight loss properties were an added bonus! In addition to Linus Pauling, I found another interesting study published in the American Journal of Clinical Nutrition (1999) where subjects were given caffeine and asked to compare its effect to the one produced after drinking green tea. The participants drinking green tea showed higher thermogenic (body heating) and fat oxidation than those taking just caffeine. Why? Because, the study indicates, it is the catchetins in green tea that produce this energy boosting, fat burning result - not the caffeine as initially suspected. Further supporting green tea weight loss claims, the International Journal of Obesity has stated that green tea increases the body's ability to burn calories and fat, thus helping people to lose weight. So if you do not like caffeine (like me) you can have the same green tea weight loss results with decaf green tea. One more study by American Journal of Clinical Nutrition is dated Jan. 2005 and concludes that daily consumption for 12 weeks of green tea containing 690 mg. of catchetins helpes to reduce body fat. This, the journal added, suggests that the catchetins in green tea might be useful for obesity. 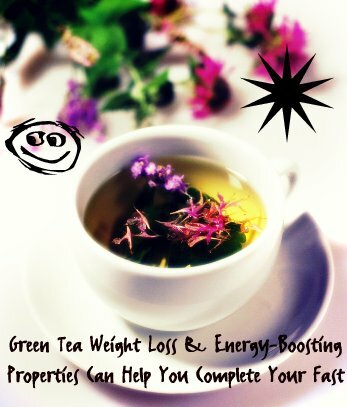 Green tea weight loss and energy-boosting properties are truly helpful. One question I am often asked about green tea weight loss is whether it helps to ALSO drink or take supplements that have ephedrine. Green tea does have caffeine, but not as much as coffee. But when you add ephedrine AND caffeine, in my opinion, the result is a bomb that your body does not need - especially if you are fasting. Ephedrine is similar to amphetamines and is found naturally in the Chinese herbal medicine Ma Huang and in Mormon Tea - also known as Brigham Tea. Some college students and truck drivers use it for its sleep-suppressing effect. But ephedrine also raises heart rate and blood pressure. 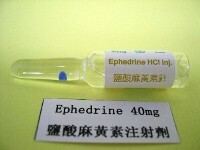 Ephedrine has been tragically associated with strokes and deaths in adolescents. So be very cautious. Read labels and, when possible, shun green tea (whether liquid, capsules or powder) that has been "enhanced" with ephedrine. While initially it may seem that the 'burst' of energy one receives is great, ingesting this type of 'drug' goes totally against what fasting represents and is downright dangerous - in my opinion. It is better to go through a little discomfort than to cut corners and take this type of risk. Green tea weight loss benefits do not have to be supplemented in this manner. Fasting is a very special time of deep introspection and dynamic change - let's not taint it with anything that can be counterproductive. If tried to take shortcuts and 'easier-softer ways' in many areas of my life for a lot of years. IT NEVER WORKED. The result was nearly-always more trouble and heartache. Neither can I recommend the ingestion of so called energy drinks as a replacement or supplement to the green tea weight loss properties. 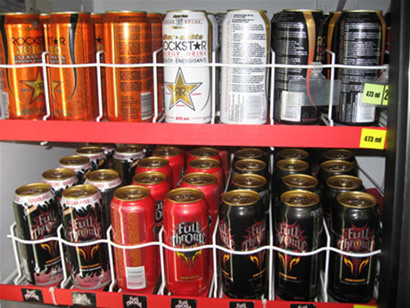 Nearly all of these drinks contain too many stimulants and, especially when fasting, may cause very unpleasant nervousness rather than energy. They also usually have large amounts of sugar or corn syrup which, when fasting, could very much upset your stomach (not to mention perpetuate intestinal toxicity). You are fasting to lose weight and for detoxification, not to replace food with ephedrine and loads of sugar. Stick to green tea with or without caffeine, but say NO to additional stimulants! I can tell you that while I was fasting, the experience was much more pleasurable when I drank a cup of green tea several times a day. I had more energy and the hunger pains were not as strong. I also lost weight more steadily thanks to the catchetins' fat burning effect. Usually when I am fasting I take green tea with me in a thermos. But you also can use it in powder form, extract, herbal preparations etc? Remember: you are fasting to improve your health and quality of life. This takes time. Take it easy. Breathe. Do not rush or try to cut corners with so called power drinks or teas spiked with ephedrine! Green tea weight loss and energy faculties are very helpful. 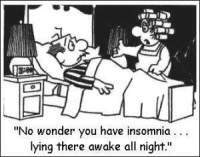 But be careful if you have sleep-related problems. Green tea, if ingested too late during the day, may strain your system and actually worsen insomnia. My suggestion is that, if you do have trouble sleeping, that you do not drink any tea with caffeine after 6PM. The whole point of using green tea while fasting is to reduce the discomfort associated with the process, not to increase it. To be fasting and NOT be able to sleep is like being in purgatory, trust me. I have been there many times and do not wish it on anybody. The more time I can consume sleeping during a fast - so much the better. There are other types of soothing herbal teas that can also help with the hunger pains, without possibly disrupting your much-needed rest during this period of fasting. Royal Camomile is my personal favorite. It is calming and excellent to soothe hunger pains, especially useful at night before going to bed. Remember, green tea does have caffeine. Not as much as coffee, but it does contain it nevertheless. It is my firm opinion that fasting for weight loss combined with at least three cups of green tea per day can place your efforts in the fast track to success. If you prefer green tea powder or capsules, I would stick to the American Journal of Clinical Nutrition's recommendation of 690 milligrams per day. I recommend these 100% pure and organic (Items #3 & #8) Oolong Tea products as support to your fasting and weight loss goals. It might taste a little strong for you at first if you are not used to it, but it is by far the best - in my experience. And I have drank lots of tea. So, in closing, I want to emphasize that the new life you seek through fasting is much more than just drinking tea or juices. Green tea weight loss capacities can be an excellent support to your efforts. But this is about permanently changing your eating habits and embracing a more active lifestyle. No pill, juice or tea is the one and all solution. Please, let me repeat it once more: The new life you seek is about changing your eating habits and embracing a more active lifestyle. For additional support while fasting please visit Fasting Motivation and Fasting and The Mind. If you are serious about changing your life through fasting, you may also wish to consider starting a Fasting Journal to record the magnificent changes that with effort and faith will certainly materialize in your life. Green tea weight loss and energy-boosting properties can serve as positive support to help you achieve your goals. In addition to green tea weight loss properties, I want to share with you is the inclusion of a very powerful supplement, and that is Himalayan Crystal Salt. Crystal salt has very powerful properties that can help your body heal and cleanse while you are water fasting. What I do is add three tablespoons to a gallon of water and make it a point to drink it in its entirety over a 24-hour period. The benefits have been so amazing that I have continued to add the salt to my drinking water even when I am not fasting. Himalayan Crystal Salt. is known to contain energy and healing properties that assist in bringing the body's regulatory system (homeostasis) into balance. This fosters improved blood pH, digestive system functions, brain activity, respiration, and it also helps remove heavy metals from your body. Highly recommended supplement as compliment to green tea weight loss properties. Dont' forget to drop Fasting Forum I and/or Fasting Forum II and join the community conversation. You can ask for feedback on a question and/or concern, look for a fasting buddy and/or add your knowledge for everyone's benefit.